Richard Grenyer is a biologist and conservationist who is interested in the fundamental position that space and geographical processes occupy in biodiversity science and modern conservation strategy. He was appointed to an Associate Professorship in Biodiversity and Biogeography at the School of Geography and the Environment at the University of Oxford in August 2010. He is also Fellow and Tutor in Physical Geography at Jesus College. The flora of some regions in the Eastern Cape of South Africa, like the Baviaanskloof above, possess an disparate mix of evolutionary histories and score highly on evolutionary biodiversity measures. Picture credit: Ralph Pina, under license. Richard gained a Ph.D. in evolutionary biology from Imperial College London, under the supervision of Prof. Andy Purvis, for a thesis using phylogenetic comparative methods to understand the evolution and maintenance of extinction-promoting traits in mammals and insects. In 2004 he joined the University of Virginia, USA with Prof. John Gittleman. Here he completed and published, with David Orme and colleagues, a synthesis of the global distribution of many vertebrate species,. This paper demonstrated for the first time that conservation decisions at a global scale must be data-driven if they are to be efficient, and cannot rely on knowledge of a few well-known species for guidance. Richard has also worked with Prof. Vincent Savolainen at the Jodrell Laboratory at the Royal Botanic Gardens Kew. With Felix Forest and colleagues, he published the first demonstration that conservation efforts to protect the most species do not always protect the widest variety of genotypes or phenotypes. In 2007 Richard returned to Imperial College London to the Centre For Population Biology, where under Prof. Georgina Mace's directorship he was a postdoctoral researcher and later Research Fellow. Since 1999, Richard has been a contributor to a decade-long collaborative study to produce the first complete evolutionary tree of mammal species (above). This controversial paper was published in 2007, and has been cited 280 times in 3 years. With the mammalian distribution dataset from UVA (and its later & better incarnations at the IUCN Global Mammal Assessment) the phylogeny forms the most complete analytical environment for evolutionary biogeography and conservation planning to date. Richard has been on the editorial board of Systematic Biology - (proudly!) the 3rd-ranked evolutionary biology journal in the world - since March 2009. 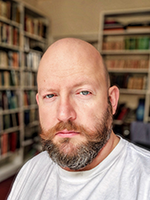 He is a reviewer for Nature, The American Naturalist, Ecology, The Journal of Theoretical Biology, Conservation Biology, Animal Conservation, Global Ecology and Biogeography, Ecography, and Biological Reviews amongst other journals. In 2007 he was co-awarded the Imperial College Research Excellence Award (team leader: Andy Purvis). Richard has given plenary talks to the South African Society for Systematic Biology conference, and to the University of East Anglia, as well as research seminars in numerous UK and international universities. He has taught two courses in South Africa through the Darwin Initiative (University of Cape Town in 2007 and University of Johannesburg/SANBI Pretoria in 2008), and has been invited for research visits at the University Of Cape Town (2008) and to an NCEAS working group (2002). As a biologist, Richard is interested in the role of spatial processes in the generation and maintenance of biodiversity. Is there solid theory to describe how lineages of organisms evolve in space and time? Does existing theory predict the same spatial pattern of species richness and endemism we see around us? If we seek to manage biodiversity, we need to measure it - but how to do this is a long-standing problem in ecology. Does it matter that the units of biodiversity - species - are all the current product of both unique and shared evolutionary pressures and processes? Do we even need to overcome the "Wallacean shortfall": the difficult-to-know geography of which species is found where? Or can we simply abstract away all the differences in biology and ecology amongst species into different kinds and different amounts of ecosystem services? What do we mean by "different ways of measuring diversity"? As an example, by interfacing the distribution and phylogeny of mammals, we can determine two different Gondwanan legacies in Africa and South America: there are different kinds of mammal diversity on sister continents. Below, vertical extrusion is proportional to the number of mammal species today, and heat colour is proportional to their phylogenetic relatedness. African mammals took a long time to reach their current high richness, and are evolutionarily diverse. The mammals of South America, conversely, are characterised by explosive radiations leading to large families of close relatives (data from Davies et al. 2008). In many ways, phylogenetic trees and geographical maps are very similar: both provide a means of conditioning our expectations of similarity amongst observations. Expected similarity in both cases is derived from some model of expected change as a function of the distance between observations. In phylogenetic terms this means specifying some model of evolutionary change over branch length, and in geographic terms specifying a model of expected decay in similarity over space. The fun starts when you have a set of observations that have both a phylogenetic and a spatial component - say, for example, most ecological datasets: how do we (and when should we) dissect the observed pattern into spatial, phylogenetic, and interaction components? The same is true with macroecological models that seek to explain the number of species across different regions: the phylogeny of species can both help explain and must be explained by the mechanism a model suggests. If we want to dissect these conflicting biological patterns, even at a basic level, we must solve the problem of overlapping influences of shared ancestry, shared location and biological interaction. As a conservationist Richard is interested in numerical and analytical strategies for the conservation of biodiversity. He uses techniques from evolutionary biology and ecology coupled with high-performance computing to dissect, analyze and advise the conservation process. Numerical analyses like this - usually called Strategic Conservation Planning - can help make maximally efficient on-the-ground conservation decisions (see his review of the 2010 book by Moilanen et al.). Numerical analyses can also help us understand what the conservation business today has become, what it does well (and not-so-well), and how it might have to change in an uncertain, pressured future. When we make choices about where and how to do conservation we make it more likely that some species and populations survive than others. Hopefully all these likelihoods are kept high, but we still induce differential risk. As a result we have a duty to make sure that the portfolio of biodiversity we favour has desirable properties. This could be as simple as having as many species in it as possible, or as complex as maximising functional or genetic diversity: again, it all comes down to how you measure diversity and how much difference it makes to resource allocation by conservation practitioners. To me, this means that conservation plans that aren't assessed against solutions to at least some form of spatial combinatoric problem with a defined optimality criterion simply aren't credible science, however politic they may be. As an example, the graph above shows the relative performance of some different types of global priority network from Grenyer, Orme et al. (2006). Performance measured with respect to capturing a, total species richness, b, rare species, and c, threatened species of birds, mammals and amphibians. Networks identified using an optimal complementarity approach based on birds alone (B), mammals alone (M), amphibians alone (A), or birds, mammals and amphibians combined (Cn, where n indicates the number of times each species is represented). Performance also shown for Biodiversity Hotspots (H), Endemic Bird Areas (E) and Global 200 Ecoregions (G), and for randomly selected sets of cells (100 replicates: median, black line; 95% confidence range, grey area). Richard teaches on both the 'Ecology of the Biosphere' course and the 'Quantitative Methods' course for the Preliminary Examination. He co-teaches the 'Biogeography, Biodiversity and Conservation' Option for the Final Honours School. He coordinates the 'Strategic Conservation Planning' module for the MSc in Biodiversity, Conservation and Management and contributes a GIS course to the 'Research Methods' module to all the MSc courses in SoGE. He also teaches on several field courses, including the Tenerife field courses for both the MSc course and Final Honours School in 2012. Richard is very interested in hearing from prospective graduate students with a biological, conservation or computational background (or all three!). Funded doctoral opportunities will be advertised as they occur. If you are interested in applying for a Clarendon or other scholarship-funded doctoral position, please only contact me if you already have a well-defined research project you would like to discuss. McIntosh, E., Pressey, R.L., Lloyd, S., Smith, R. and Grenyer, R. (2017) The Impact of Systematic Conservation Planning. Annual Review of Environment and Resources, 42. Tucker, C.M., Cadotte, M.W., Carvalho, S.B., Davies, T.J., Ferrier, S., Fritz, S.A., Grenyer, R., Helmus, M.R., Jin, L.S., Mooers, A.O., Pavoine, S., Purschke, O., Redding, D.W., Rosauer, D.F., Winter, M. and Mazel, F. (2017) A guide to phylogenetic metrics for conservation, community ecology and macroecology. Biological Reviews, 92(2): 698-715. McIntosh, E.J., McKinnon, M.C., Pressey, R.L. and Grenyer, R. (2016) What is the extent and distribution of evidence on effectiveness of systematic conservation planning around the globe? A systematic map protocol. Environmental Evidence, 5(15): 1-13. Roll, U., Mittermeier, J.C., Diaz, G.I., Novosolov, M., Feldman, A., Itescu, Y., Meiri, S. and Grenyer, R. (2016) Using Wikipedia page views to explore the cultural importance of global reptiles. Biological Conservation, 204(A): 42-50. Griffiths, K.E., Balding, S.T., Dickie, J.B., Lewis, G.P., Pearce, T.R. and Grenyer, R. (2015) Maximizing the phylogenetic diversity of seed banks. Conservation Biology, 29(2): 370-381. Mutter, M., Pavlacky Jr., D.C., Van Lanen, N.J. and Grenyer, R. (2015) Evaluating the impact of gas extraction infrastructure on the occupancy of sagebrush-obligate songbirds. Ecological Applications, 25: 1175-1186. Purvis, A., Fritz, S.A., Rodriguez, J., Harvey, P.H. and Grenyer, R. (2011) The shape of mammalian phylogeny: patterns, processes and scales. Philosophical Transactions of the Royal Society B: Biological Sciences, 366(1577): 2462-2477. Rodrigues, A.S.L., Grenyer, R., Baillie, J.E.M., Bininda-Emonds, O.R.P., Gittlemann, J.L., Hoffmann, M., Safi, K., Schipper, J., Stuart, S.N. and Brooks, T. (2011) Complete, accurate, mammalian phylogenies aid conservation planning, but not much. Philosophical Transactions of the Royal Society of London, B: Biological Sciences, 366(1578): 2652-2660. Powney, G.D., Grenyer, R., Orme, C.D.L., Owens, I.P.F. 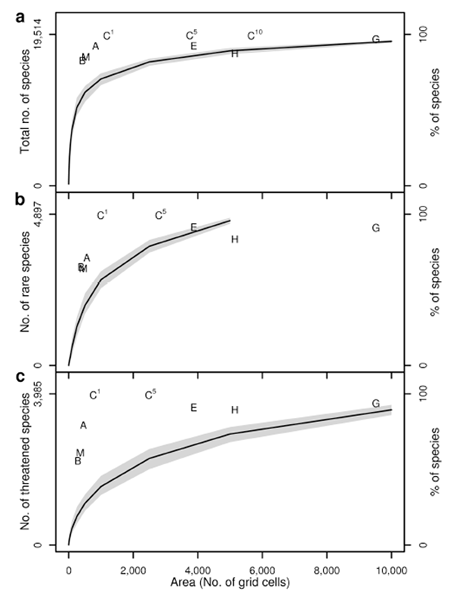 and Meiri, S. (2010) Hot, dry and different: determinants of lizard richness in Australia. Global Ecology and Biogeography, 19(3): 386-396. Jones, K.E.J., Bielby, J., Cardillo, M., Fritz, S.A., O'Dell, J., Orme, C.D.L., Safi, K., Sechrest, W., Boakes, E.H., Carbone, C., Connolly, C., Cutts, M.J., Foster, J.K., Grenyer, R., Habib, M., Plaster, C.A., Price, S.A., Rigby, E.A., Rist, J., Teacher, A., Bininda-Emonds, O.R.P., Gittleman, J.L., Mace, G.M. and Purvis, A. (2009) PanTHERIA: a species-level database of life history, ecology and geography of extant and recently extinct mammals. Ecology, 90(9): 2648-2649. Meiri, S., Dayan, T., Simberloff, D. and Grenyer, R. (2009) Life on the edge: carnivore body size evolution is all over the place. Proceedings of the Royal Society Series B, 276(1661): 1469-1476. Nicholson, E., Mace, G.M., Armsworth, P.R., Atkinson, G., Buckle, S., Clements, T., Ewers, R.M., Fa, J.A., Gardner, T.A., Gibbons, J., Grenyer, R., Metcalfe, R., Mourato, S., Muuls, M., Osborn, D., Peck, L. Reuman, D.C., Watson, C. and Milner-Gulland, E.J. (2009) Priority research areas for ecosystem services in a changing world. Ecological Applications, 46(6): 1139-1144. Davies, T.J., Fritz, S.A., Grenyer, R., Orme, C.D.L., Bielby, J., Bininda-Emonds, O.R.P., Cardillo, M., Jones, K.E.J., Gittleman, J.L., Mace, G.M. and Purvis, A. 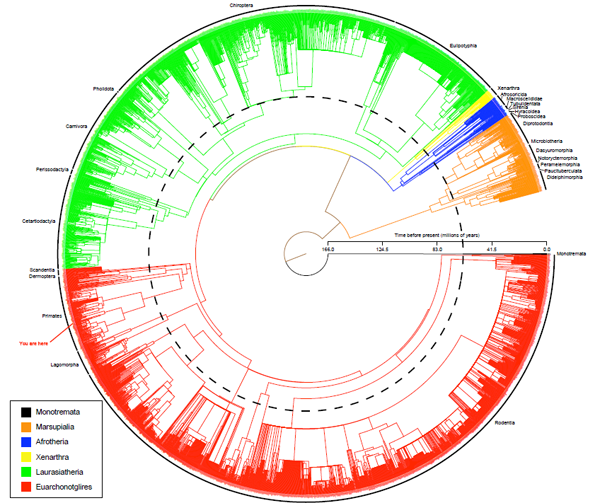 (2008) Phylogenetic trees and the future of mammalian biodiversity. Proceedings of the National Academy of Sciences of the United States of America, 105(1): 11556-11563. Bininda-Emonds, O.R.P., Cardillo, M., Jones, K.E., MacPhee, R.D.E., Beck, R.M.D., Grenyer, R., Price, S.A., Vos, R.A., Gittleman, J.L. and Purvis, A. (2007) The delayed rise of present-day mammals. Nature, 446: 507-512. Forest, F., Grenyer, R., Rouget, M., Davies, T.J., Cowling, R.M., Faith, D.P., Balmford, A., Manning, J.C., Proches, S., van der Bank, M., Reeves, G., Hedderson, T.A.J. and Savolainen, V. (2007) Preserving the evolutionary potential of floras in biodiversity hotspots. Nature, 445: 757-760. Grenyer, R., Orme, C.D.L., Jackson, S.F., Thomas, G.H., Davies, R.G., Davies, T.J., Jones, K.E., Olson, V.A., Rasmussen, P.C., Ding, T-Z., Bennett, P.M., Blackburn, T.M., Gaston, K.J., Gittleman, J.L. and Owens, I.P.F. (2007) Reply: 'Effective Conservation Strategies'. Nature, 450(E20). online BCA. Grenyer, R., Orme, C.D.L., Jackson, S.F., Thomas, G.H., Davies, R.G., Davies, T.J., Jones, K.E., Olson, V.A., Ridgely, R.S., Rasmussen, P.C., Ding, T-Z., Bennett, P.M., Blackburn, T.M., Gaston, K.J., Gittleman, J.L. and Owens, I.P.F. (2006) The global distribution and conservation of rare and threatened vertebrates. Nature, 444: 93-96. Davies, T.J., Grenyer, R. and Gittleman, J.L. (2005) Phylogeny can make the mid-domain effect an inappropriate null model. Biology Letters, 1(2): 143-146. Bininda-Emonds, O.R.P., Jones, K.E., Price, S.A., Grenyer, R., Cardillo, M., Habib, M., Purvis, A. and Gittleman, J.L. (2004) Supertrees are a necessary not-so-evil: a comment on Gatesy et al. Systematic Biology, 52(5): 724-729. Dennis, R.L.H., Hodgson, J.G., Grenyer, R., Shreeve, T.G. and Roy, D.B. (2004) Hostplants and butterfly biology: do plant CSR strategies drive butterfly status? Ecological Entomology, 29(1): 12-26. Barton, R.A., Aggleton, J.P. and Grenyer, R. (2003) Evolutionary coherence of the mammalian amygdala. Proceedings of the Royal Society, B, 270: 539-543. Grenyer, R. and Purvis, A. (2003) A composite species-level phylogeny of the 'Insectivora' (Mammalia, Lipotyphla Haeckel 1866). Journal of Zoology, 260: 245-257. Murray, J.P., Grenyer, R., Wunder, S., Raes, N. and Jones, J.P.G. (2014) Can REDD+ deliver biodiversity co-benefits in Indonesia? In, Sills, E.O., Atmadja, S.S., de Sassi, C., Duchelle, A.E., Kweka, D.L., Resosudarmo, I.A.P. and Sunderlin, W.D. (eds.) REDD+ On The Ground: A case book of subnational initiatives across the globe. CIFOR. Bininda-Emonds, O.R.P., Cardillo, M., Jones, K.E., MacPhee, R.D.E., Beck, R.M.D., Grenyer, R., Price, S.A., Gittleman, J.L. and Purvis, A. (2006) The tree of life. In, MacDonald, D.W. (ed.) The Encyclopedia of Mammals. Oxford University Press. Purvis, A., Cardillo, M., Sechrest, W., Grenyer, R. and Collen, B. (2005) Correlates of extinction risk: phylogeny, biology, threat and scale. In, Purvis, A., Gittleman, J.L. and T. Brooks (eds.) Phylogeny and Conservation. Conservation Biology Series, 10. Cambridge University Press. Bininda-Emonds, O.R.P., Jones, K.E., Price, S.A., Cardillo, M. Grenyer, R. and Purvis, A. (2004) Garbage in, garbage out: data issues in supertree construction. In, Bininda-Emonds,. In, Bininda-Emonds, O.R.P. (ed.) Phylogenetic Supertrees: Combining information to reveal the Tree of Life. Computational Biology Series, 4. . Kluwer Academic. ISBN: 978-1-4020-2329-3. Grenyer, R. (2009) A book for our time, a book review of: 'Spatial Conservation Prioritization'. 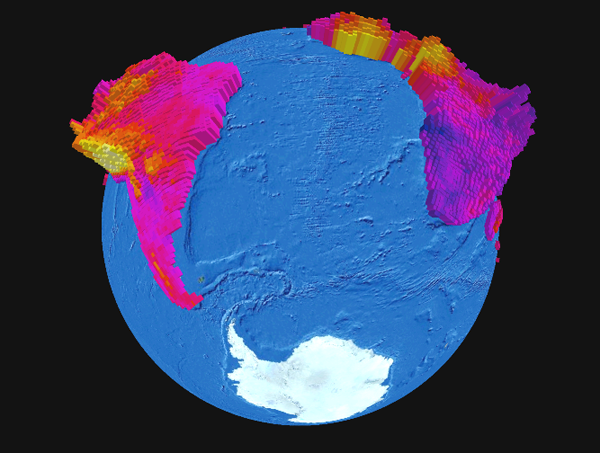 Frontiers of Biogeography, 1(2): 50-51.